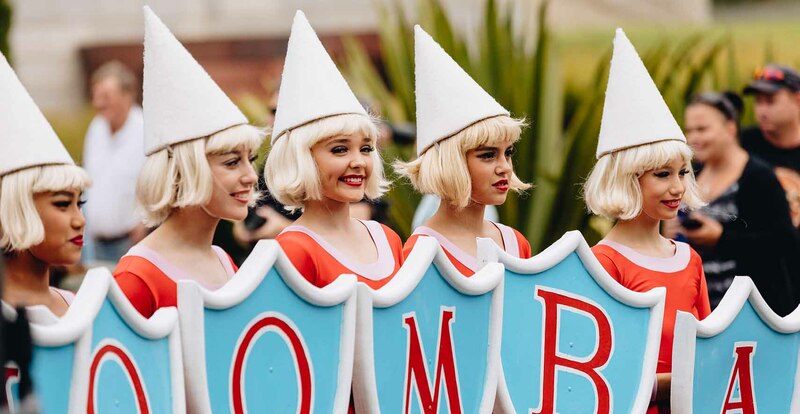 Over the years, the Moomba Monarchs, who reign over the parade, have included the likes of Bert Newton, Dame Edna and Molly Meldrum, as well as sporting and community heroes such as Cathy Freeman, and Stevie and Michelle Payne. With a keen enthusiasm for the weather, meteorologist Jane Bunn brings her specialised reports to Melburnians come rain, hail or shine. Known and loved as Channel 7’s resident weather forecaster, Jane also gives us the low-down on what’s happening around the city as a co-host on The Great Weekend. As well as being a regular on the telly and radio, Jane is a passionate RSPCA and Royal Flying Doctor Service ambassador. Jane also plays an important role in providing weather advice to the Country Fire Authority and farming communities around Victoria. He’s a record-breaking sports legend who’s proudly worn green and gold representing Australia. Archie Thompson’s career has seen him play for the Socceroos where he broke the record for the most goals in an international game and become a superstar player for Melbourne Victory. Archie also knows the importance of talking about mental health and has been an ambassador for Movember. These days you’ll find Archie on FOX SPORTS as an expert commentator and continuing on with his most important role of all – being a Dad to kids Isabella and Axel.